Vintage Goodness for the Modern Bride. 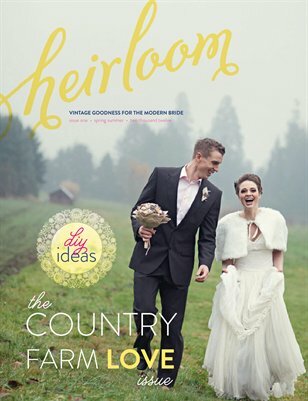 Our first issue features a classic farm wedding editorial filled with vintage elements to pull your wedding inspiration from. A super simple DIY wedding hair up do and decorations. don't forget to check out the classified section to seek out the best vintage vendors!